The Microsoft Global Energy Forum is a prestigious annual technology-focused energy industry event welcoming business leaders in both Business Operations and Information Technology roles. To complement their value assurance process, Hess has developed a common system for subsurface evaluations performed by asset teams throughout the global E&P business. This system, the Subsurface Milestone & Deliverables (SMD), was designed to provide guidelines for project management and stewardship, define milestones for the delivery of technical products, set standards for integrity of technical products, and emphasize timely collaboration, documentation and knowledge transfer. 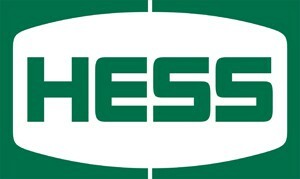 In 2012, HESS began a project to develop an online platform to house the SMD system and overcome the implementation challenge. In his presentation at the Global Energy Forum – The Path to Knowledge Transfer and Collaboration: Platforms for Connecting Results with Direction in a Changing E&P Landscape – Rick Beaubouef, Chief Geologist at Hess discusses how the project evolved to create the Hess Pathfinder2020 Smart Process Application. Pathfinder2020 is one of several Hess applications designed and deployed on 3GiG’s Prospect Director™ platform, which leverages Microsoft’s Internet Explorer, SQL Database solutions and Office Products. Prospect Director’s interface enables Hess to dynamically and rapidly build structured/unstructured data models and intranet user interfaces for specific use cases or storyboards to support a range of proprietary business decision processes and knowledge management requirements.